Ian Edwards was educated at North Bankstown Public School, Canterbury High School, The Scots College and the University of Sydney where he learned more than most undergraduates by taking an abnormally long time to graduate Bachelor of Arts, majoring in Philosophy. Ian in his late 20s, courtesy of his sister, Elizabeth Wright. Ian was an involved member of the Glebe Society for more than 30 years, and much of his life in Glebe can be ascertained from its Bulletin. I am grateful to Lyn Milton, the Society’s archivist, for indexing all past issues. As early as 1987 he was a member of the Management Committee, where for some time he provided prompt (and cost saving) hand delivery of minutes, agendas, and other papers to members of this Committee. 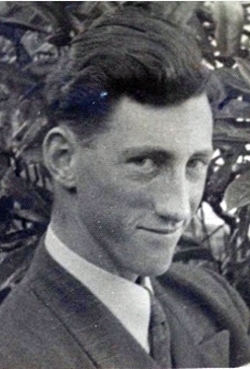 He had been Convenor of the Foreshore Walk and Cycleway Committee, and the Bays and Foreshores Committee; he was involved in the Playreading Group, the History Group, and the Book Club; he answered inquiries from people wanting information about ancestors who had lived in Glebe, and he had arranged regular Sunday lunches for Society members at Glebe eating houses. life was not easy, due to long-term depression, he made the best of it without complaint. His failing health did not deter him from contributing to our discussions and his atheism was regularly and forcefully raised. His time at Sydney University was formative, and he was very proud of the part it played in making him the man he was – a man with strong opinions and concern for the future of the planet. His interests were wide and his longer articles for the Bulletin are well written, well researched and full of detail. They include Sustainability: Australia should take the lead (3/2008); It’s not too late, his personal reaction to the film An Inconvenient Truth (8/2006); the Society’s involvement in the Battle of the Expressways (10/2004); in Two Glebes …? Ian shared his perceptions on the social divisions in Glebe noting that ‘perhaps we should all try to be more aware of the problems and needs of the more disadvantaged members of our community’ (2/2013); he wrote a detailed piece on Sir Douglas Mawson, in the Who Lived in your street? series (3/2005), and a comprehensive review of Tony Larkum’s book A Natural Calling: Life, Letters and Diaries of Charles Darwin and William Darwin Fox (1/2010); he wrote many times on the Master Plan for the Bays Precinct, including The price of amenity is eternal vigilance (5/1998); in the special Anzac Centenary issue he wrote meaningfully on The Meaning of Anzac (3/2015); though hardly a sporting man he produced a piece on Some Glebe Cricketers; (2/2016). And across the western suburbs we must wander. His amusing report on being accosted by a policeman while wearing a garment with a hood led to his suggestion ‘that if you wear a hoodie on your early morning walk in Glebe, be sure you carry your ID.’ (1/2008). He was still contributing to the Bulletin in September this year, with a review of Ken Saunders political satire 2028. Ian wrote three books, the first was The Faith of a Heretic (self-published, 1998) about the life and work of the Rev. John Edwards, his paternal grandfather, which, in his forthright manner, he dedicated ‘To the memory of the greatest of all heretics, Jesus of Nazareth’. The second, World War II: A Soldier’s Odyssey (2015), published by the Sydney School of Arts and Humanities, was a life story of his uncle, Lieutenant Marcus Edwards, reviewed by April Bertels-Garnsey as ‘a labour of love – affectionate, detailed and thoroughly researched.’ A third, The Brothers Four, about his father and uncles, was not made public. Often abstemious and sometimes comically thrifty, Ian had a proclivity for efficiency and enjoyed a sort of uncommon minimalism in his practical affairs. He faced his mortality and the limits of his time and capacity with delightful humour and without any obvious self-pity. Shortly after I met him he bemoaned his incompetence at using computers. I told him he should always blame the computer, never himself, and besides, I said you’re more of a literary man. He replied I suppose I am, and we both knew it was true. I visited him on Thursdays for more than ten years after that. Ian was interested in his friends and loved an excuse to correspond. He wrote books about his family, and articles on all sorts of topics. He had a cat named Shadow. I’ll miss his forthrightness and wry sense of humour, and his kindness and modest appreciation of life. focussed on philosophy, psychology, and sociology, as well as literature, the arts and science. In other words, critical thinking about all sorts of serious issues. Ian was not so keen on the critical drinking that followed our discussions. He was handicapped by his hearing difficulties as he aged. 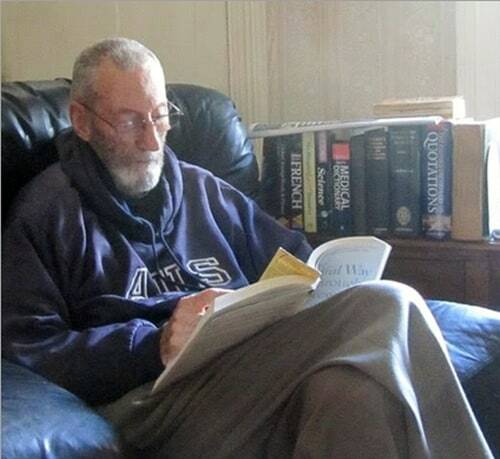 He still gave papers; his most recent was a talk on James Joyce, and he published articles in our Journal, The Sydney Realist, and was also its proof reader. His latest article was on Oscar Wilde, but as a keen environmentalist he also wrote on overpopulation and climate change. He will be missed from our gatherings. Ian had entrusted me with a copy of his Advanced Care Directive, where ‘being able to communicate’ was his principal requirement – but it wasn’t needed. He admitted to feeling isolated as he was getting older, and earlier this month was hoping to engage a carer to enable him to remain at home and independent. He had arranged to host a lunch for his daughter at the local Nag’s Head Hotel in October. He told me he hoped to make it to 90, but he died on Monday 17 September, aged 89. I don’t know if he was a member of a political party, though he was certainly a political person, joining the Australian Republic Movement and displaying political posters on his house in St. Johns Rd. Ian was not always easy to deal with, but an indication of just who he was, his interests and sympathies is obvious by the topics he chose to write about. He was original, intelligent, somewhat enigmatic, and a literary man indeed. He will be missed here in Glebe. Farewell, Ian Edwards. A literary man 2015, courtesy of Patrick Lesslie. Note: More information about Ian’s books can be found at these links: A Soldier’s Odyssey: https://trove.nla.gov.au/work/217280120?q&versionId=238414434; The Faith of a Heretic: https://catalogue.nla.gov.au/Record/2237445. 2 comments. Please add yours. you have summed Ian up very well. Vale Ian. We knew Ian only in his latter years as a quiet neighbour who kept to himself. He was very helpful when we had to visit his backyard to clean out our gutters, and we appreciated his left-leaning political posters. I always said hello when I saw him out and about, and I hope he knew he was a part of the St johns road community.